John Stillman was born in Carshalton Surrey in 1968. He is completely self taught and has been drawing and painting ever since he can remember. John has worked as an illustrator for books and as a graphic artist in advertising in London. He now paints full time as a professional artist. 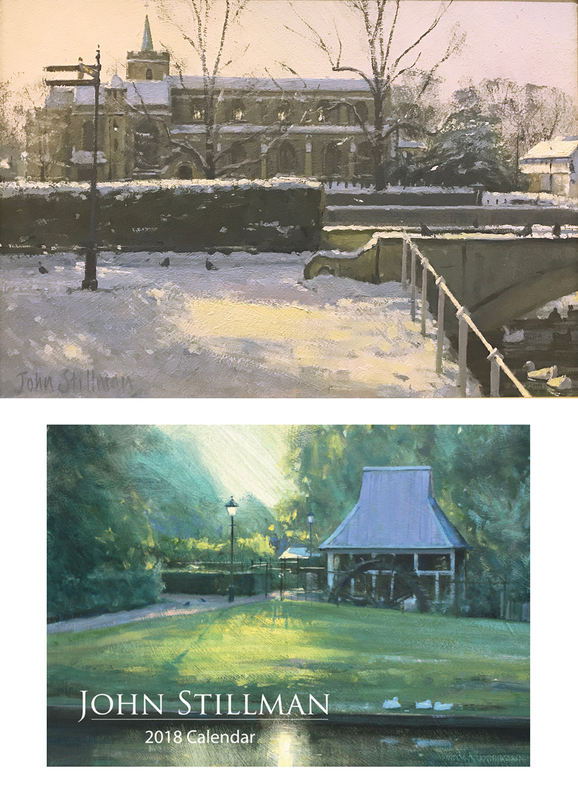 The many subjects John paints are landscapes and scenes of Surrey through to marine subjects concentrating on light and atmosphere. His paintings are held in numerous private collections from the UK to America, France and Australia. As well as his solo exhibitions he has also been a regular exhibitor at the Royal Society of Marine Artists and in 2014 he was elected an Associate Member. He also exhibits his paintings at The Royal Institute of Oil Painters at the Mall Galleries in London and The Royal Academy in London. We have restocked and now have a final, limited number of John Stillman's sought after calendars for 2018 available, on a first-come-first-served basis, at the gallery. Hurry while stocks last to avoid disappointment.